Fork: RockShox 30 Silver TK 29"/27.5", 100mm, rebound, 1-1/8", Coil. Hubs: Formula front, Custom BOOST QR Formula rear. Crank: FSA Gamma Pro MegaExo, 30t. Rear Cogs: SunRace 11-42, 11-speed. Headset: Sealed Semi Integrated, 1-1/8 reducer. Brakes: Shimano M315 hydro disc, 180/160mm (29"), 160/160mm (27.5"). Brake Levers: Shimano M315 hydro disc. 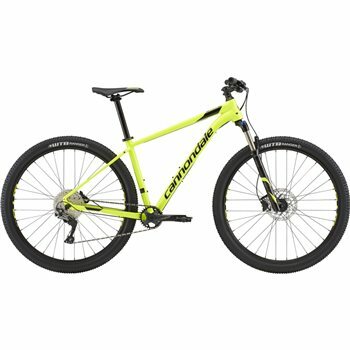 Seatpost: Cannondale C4, 6061 alloy, 31.6x350mm.